Happy Friday! 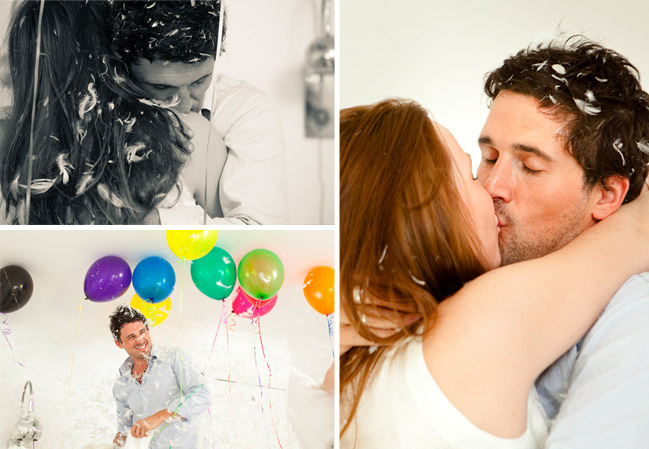 How fun would it be to have a pillow fight with your honey and capture it all for your engagement photos? Love. All photos by the talented team of Erin hearts Court. See the entire session here. SOOOOOO cute! Love all the feathers. So incredibly original! Gorgeous couple. I like the pillow fight idea, too. thanks for the shout out Jen!! So cute. Just love them. Very cute! The woman looks like she could be Tori Amos's sister! So much fun. Love the addition of all the colorful balloons! OK, this seriously looks like so much FUN!! Super cute! This looks like they had a BLAST doing this photo shoot. And that's how good pictures always come around. Plus they are one handsome couple! Fantastic photos! Just lovely. In the last photo (upside down) that guy looks just like Patrick Dempsey! SO adorable! I love seeing couples having fun together like this! This idea is out of control, inthe good way! 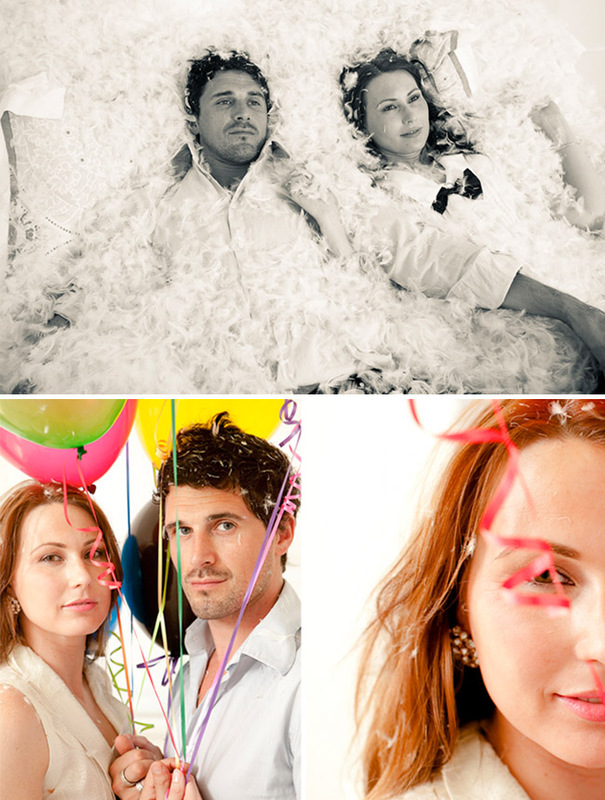 I love this shoot and that guy does look like Patrick Dempsey! I bet they had such a fun time on their photo shoot! I love the photos! They are all perfectly shot! I hope I can meet a photographer who is very innovative! How do you always have the most adorable posts!?! This is an amazing idea! So fun! They are too cute I can't even handle it!